Nothing quite compares to the sartorial satisfaction of finding the perfect pair of jeans - when they are the right wash, fit, length, etc. 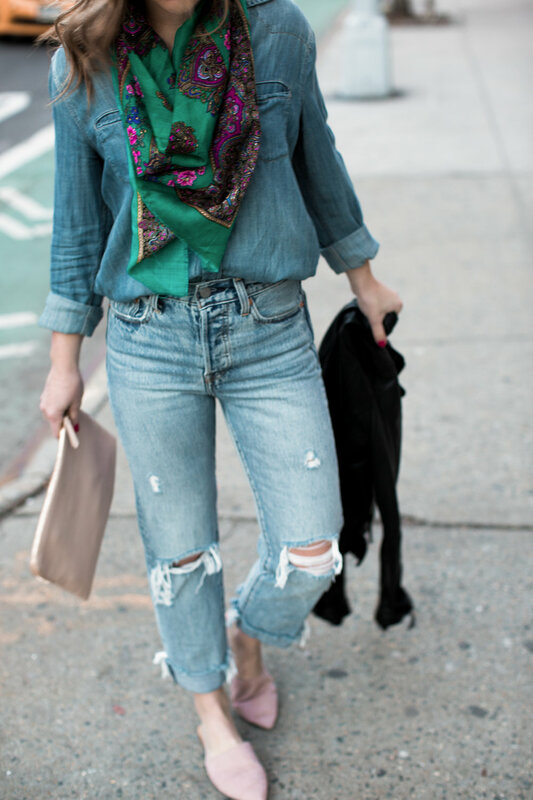 These Levi’s Wedgie jeans have become my new go-to pair and I can’t help but rave about them. I spoke about these jeans in a recent post here and since then I have been wearing them every chance I get. With a high waist and straight leg the fit is super flattering. I personally love the lighter wash and distressing of this selvedge pair. I’ve worn my Wedgie jeans so far with sweaters, tees, blouses, you name it. But last weekend I was really feeling the denim vibe and just went for the full-on Canadian tux look, pairing these jeans with a chambray top. I quite like how the two blues pair together. 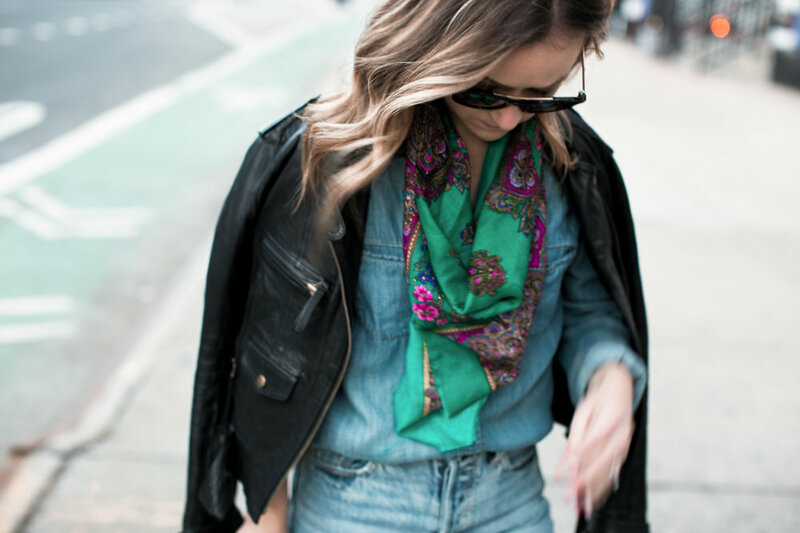 I got this scarf at one of my favorite local vintage shops, L Train Vintage, in the East Village. I think it must have only cost me a few bucks, but I love the bright color and oversize shape, perfect for Spring weather that will hopefully be here soon!